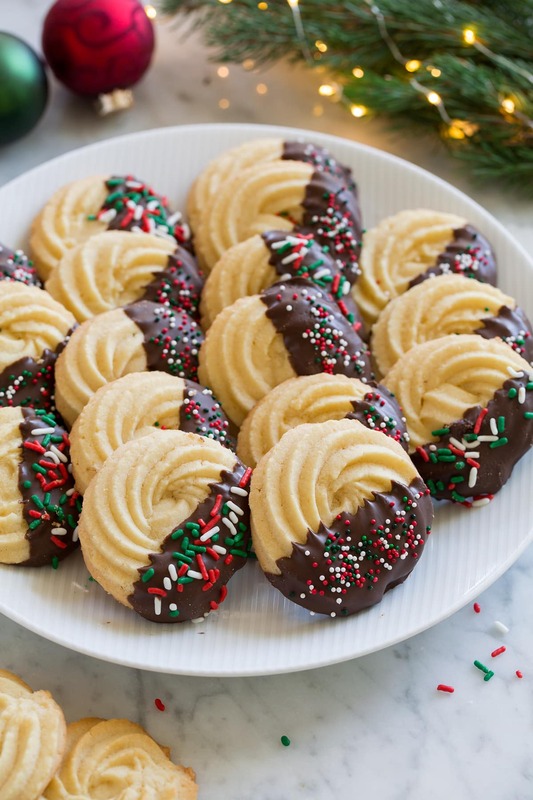 Butter Cookies are one of those classic Christmas cookies that everyone loves. This homemade version is far better than what you'll find in the tins at the store during the holidays and this addition of decadent chocolate takes them to a whole new level of delicious! I love these cookies because they keep well longer than most cookies, they're perfect for gifting and they're such a pretty cookie. They have a rich buttery flavor and a satisfying crisp tender texture, and anytime a chocolate dip is involved no one can turn them away. You can't go wrong which ever route you go, even if you decide to skip the chocolate you'll still have a perfectly delicious homemade cookie!